I am a die hard Star Wars fan. I think the originals were revolutionary, I enjoy the prequels and think they tell essential Star Wars stories. I think Rogue One gave us an awesome look inside the history of A New Hope and I think that the Force Awakens was a very strong intro to the newest generation of Star Wars stories. Because I’m such a huge fan of Star Wars I find it very difficult to say anything negative about Star Wars movies. That’s why I’m so glad there’s nothing negative to say about Star Wars: The Last Jedi. The Last Jedi was groundbreaking for Star Wars. Many people compared Force Awakens to A New Hope and were concerned that The Last Jedi would just be a rehash of Empire Strikes Back but that was far from the truth! The Last Jedi was unlike any Star Wars movie I’ve ever seen, yet still had the charm and wonder that Star Wars always instills. The Last Jedi did a great job at developing the new characters we met in the Force Awakens and delivering us even more new characters, all of whom felt necessary and important to the story. 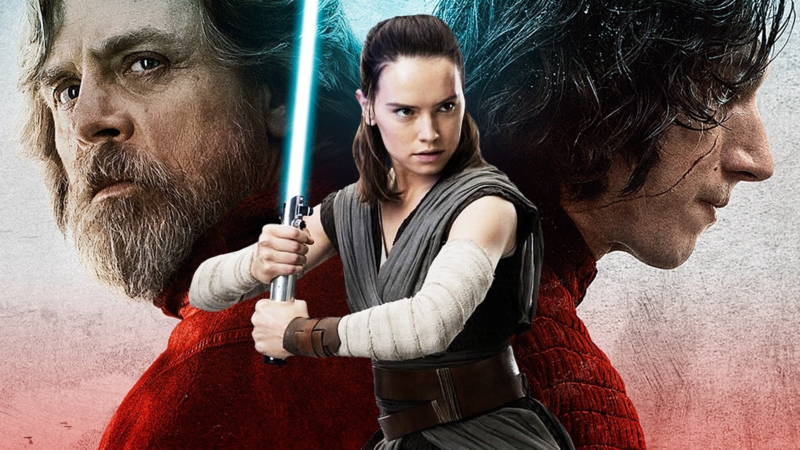 Star Wars has always been focused on the battle between good and evil, light and dark, and the Last Jedi continues that tradition. It asks an additional question as well though: what is good and what is evil? Throughout the movie there are many moments that lead us to question what it means to be good and what it means to be a hero. The answers are different than anyone expects them to be. The movie is full of twists, turns, surprises, and risks. It’s visually stunning and a fantastic installment in the Skywalker saga. This movie earns all 5/5 stars from me. See The Last Jedi as soon as you can, and may the Force be with you!